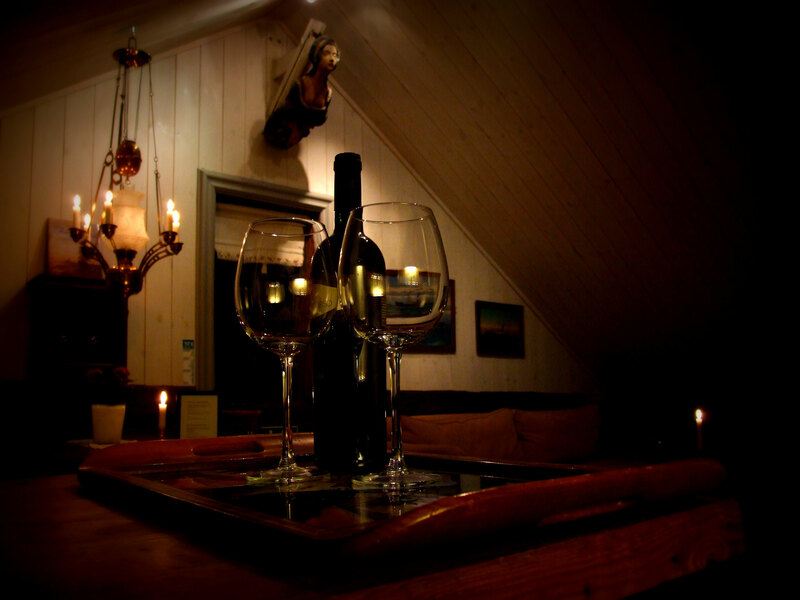 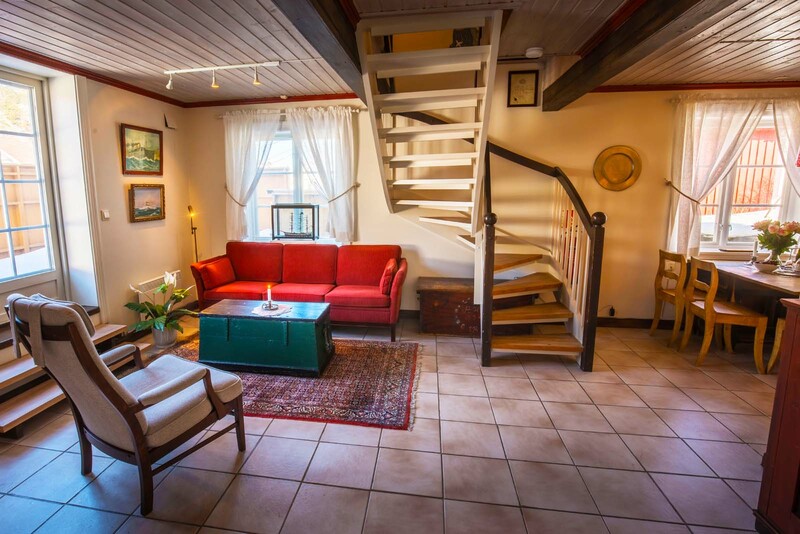 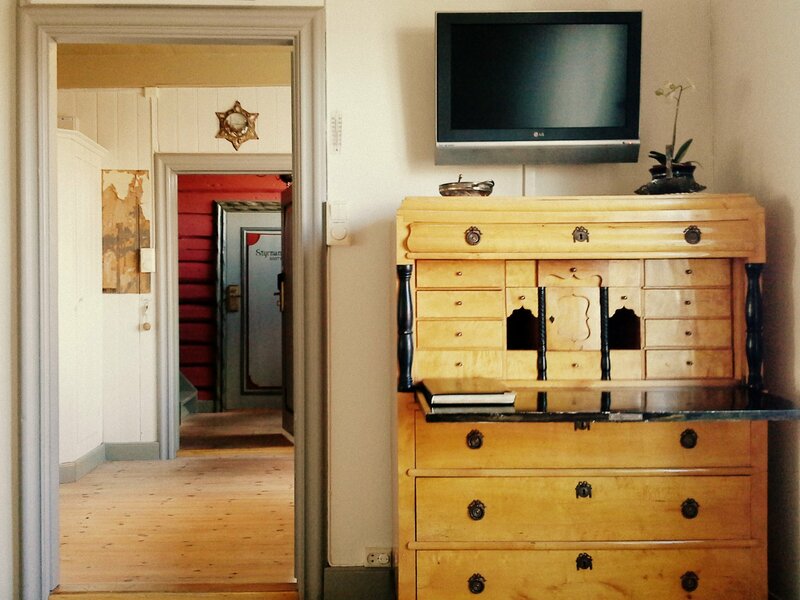 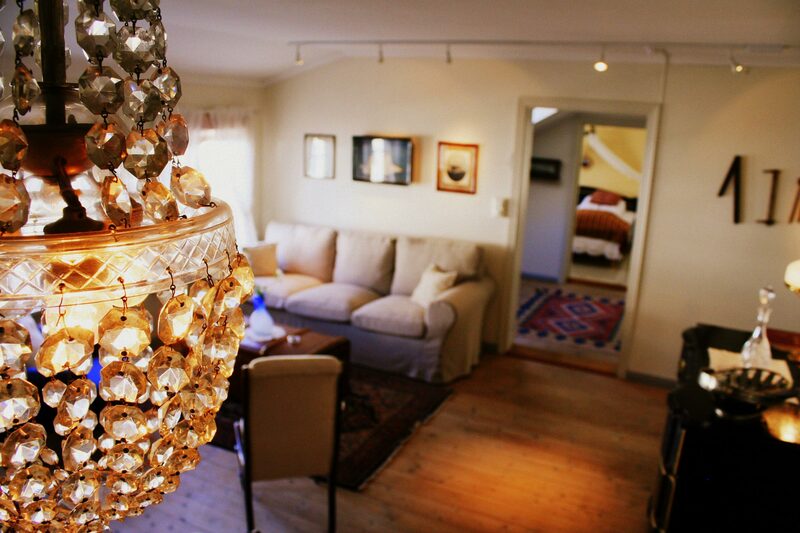 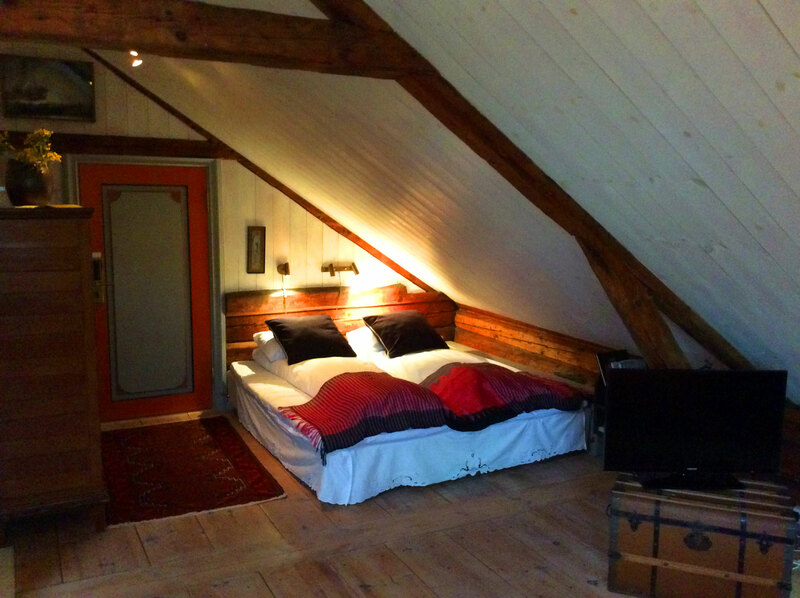 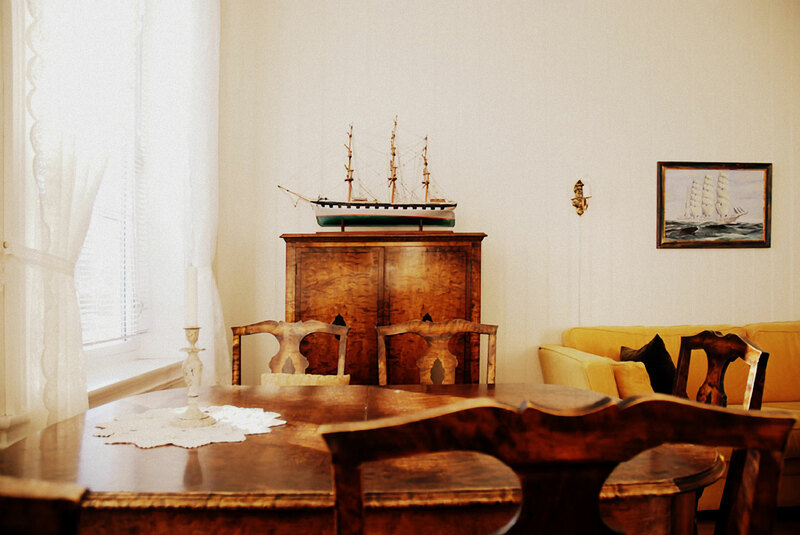 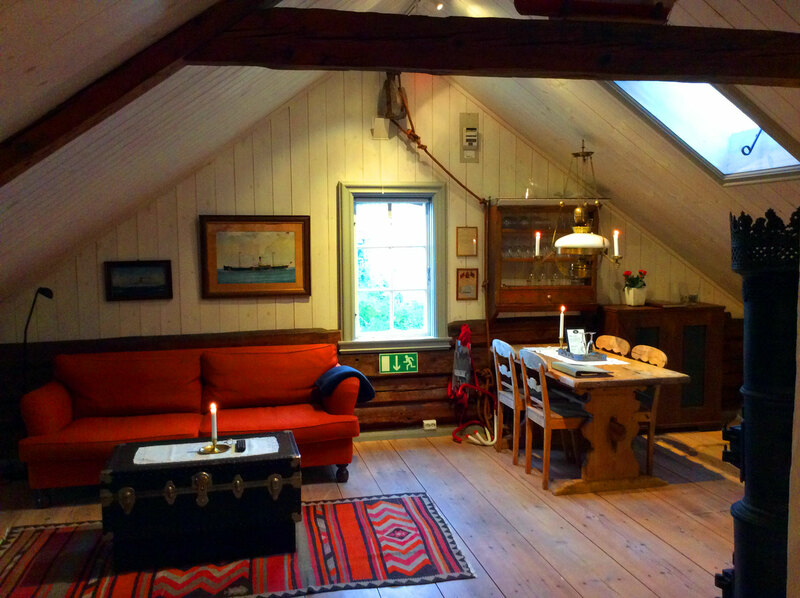 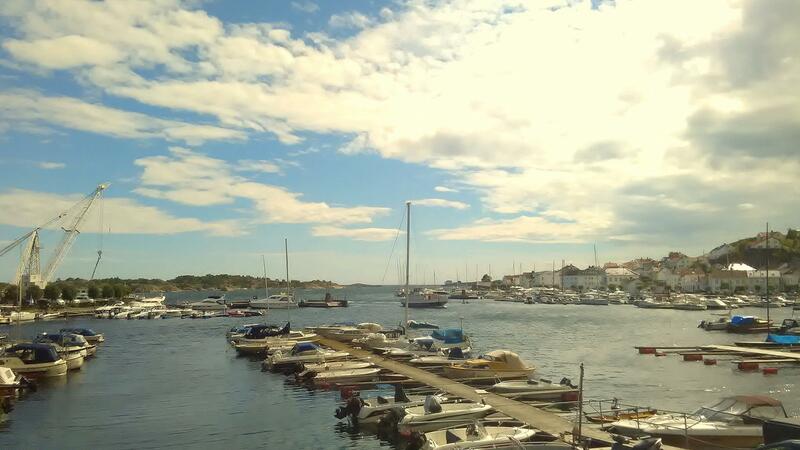 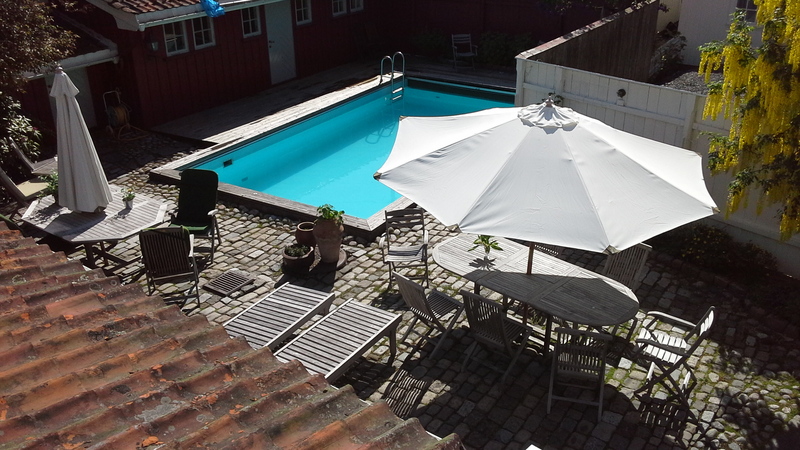 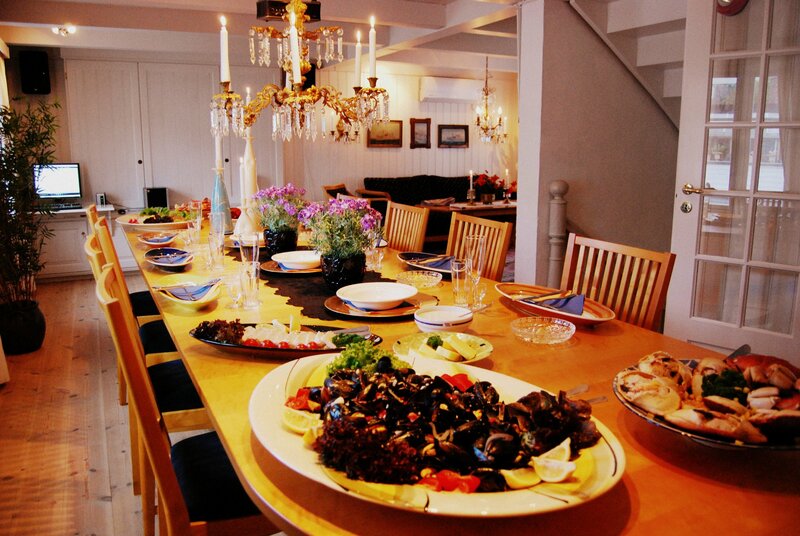 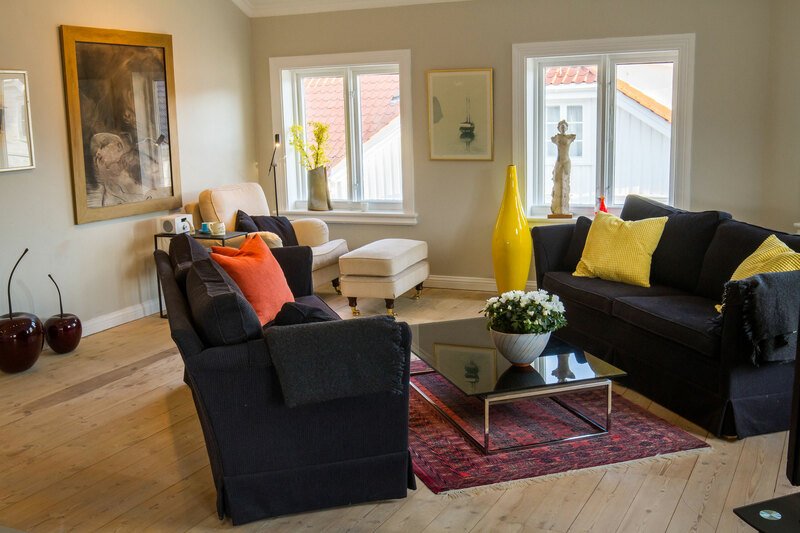 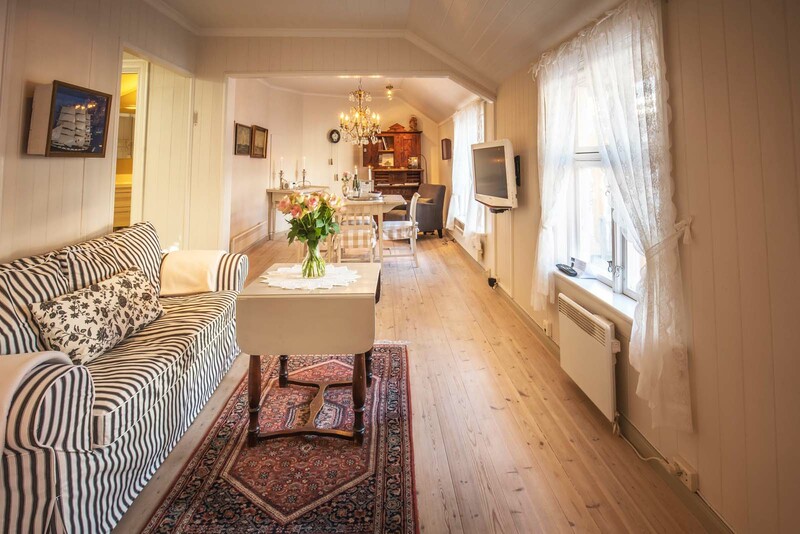 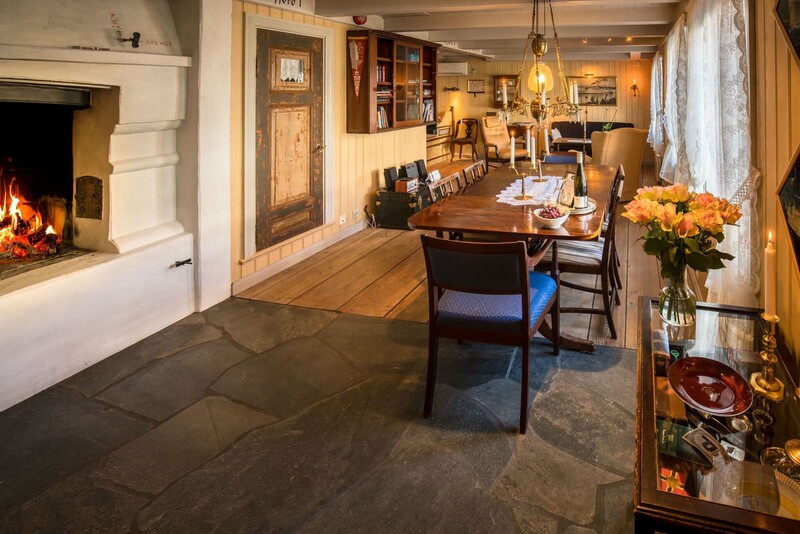 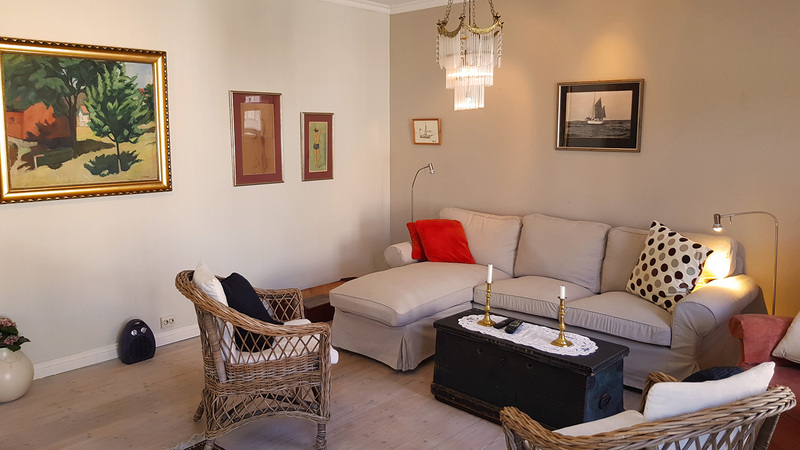 The suite is 45 sq m and open plan, in our historic house in Buvika, 800m from the town square. 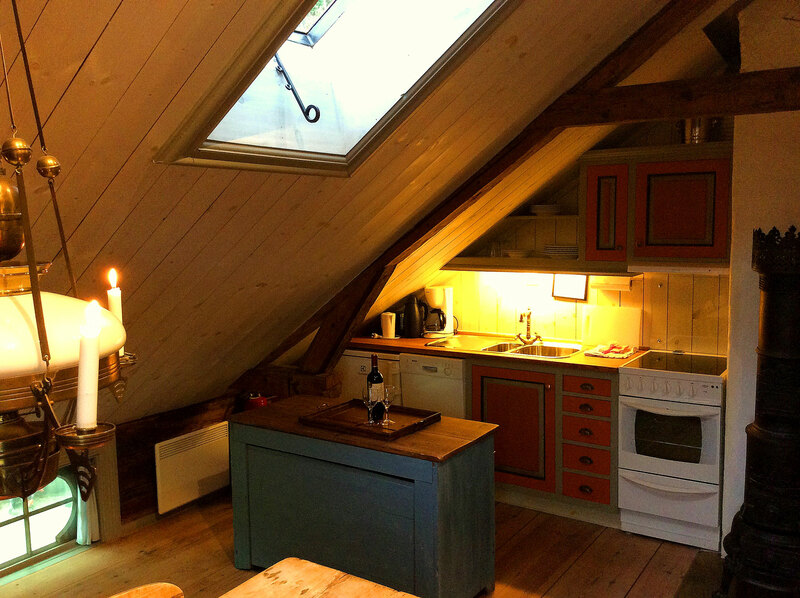 There is a double bed and folding extra bed, lounge area, dining table and small kitchen. 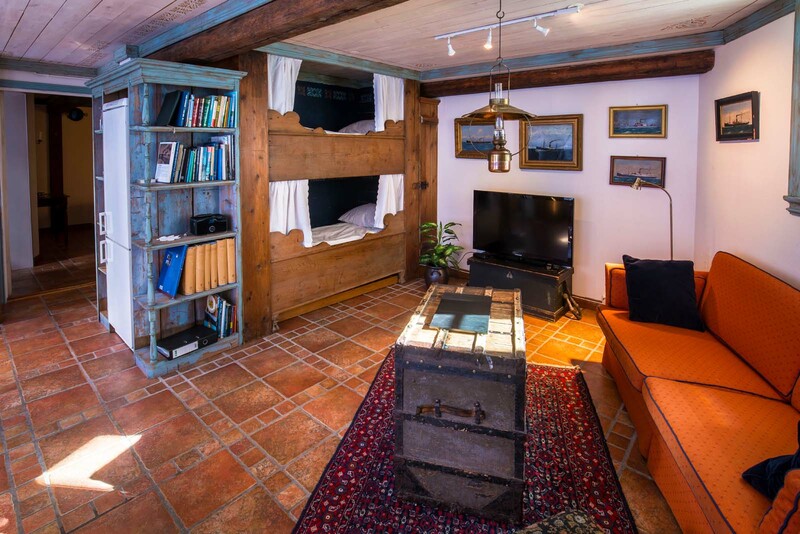 TV and music system. 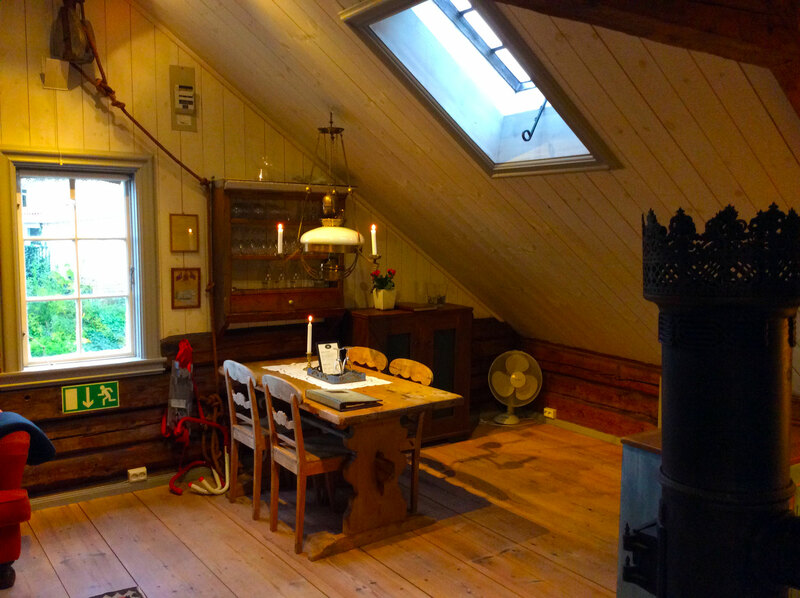 Separate bathroom with heated floor. 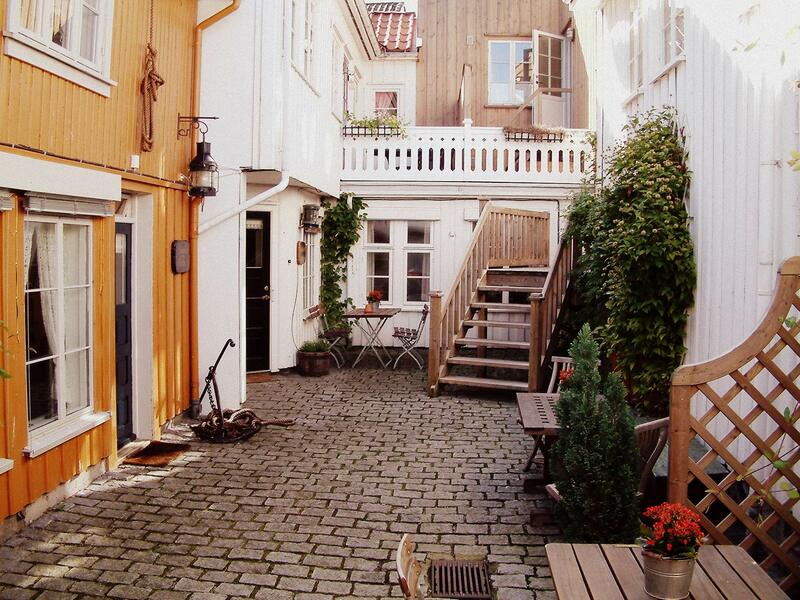 Guests here may use the garden and outside areas downstairs.